Reloading the Service Sector - TriviaMatic! According to an article in Forbes magazine from earlier this summer, ‘New Technologies Will Revolutionize the Hospitality Industry’, we can expect change in both through the way we access services and also how the services will run themselves. The knock on effects of greater automation may well lead to less need for personnel, but in the long run will create more jobs in the service sector. According to Gartner, AI will create 2.3 million jobs in 2020 where only 1.8 million jobs will be lost, meaning a net gain of half a million jobs in the US. Where salespeople would once keep note of customer activity, customer relationship management platforms are now commonplace for understanding consumer satisfaction and needs. The use of smart-phones as integrated tools for guest in hotels is becoming ever more popular. From check-in, to key access, to room service and payment, smartphone technology is revolutionising the hotel sector. Automated check-ins and check-outs are becoming more and more commonplace, with users being able to access check in through their mobiles, tablets or computers. Hilton is one chain which has implemented this strategy, taking it one step further by allowing guests to select rooms according to their preference. Guests can be updated when they are able to access their rooms, giving staff more opportunity to deliver a high level of service in other areas of the hotel management. Digitized room keys are coupled with digital check-in, allowing smartphone users to use ‘smart keys’ to gain access to their rooms. Coupled with room service from the in-house app, users can access everything they need directly with the use of their mobile phone. As well as room service, phones will be connected to music systems set up in the rooms, set preferences for wake up calls, leading to greater personalisation and greater customer satisfaction. From temperature sensors, to guest check ins and dietary restrictions, automation is providing the restaurant industry with quicker and more effective ways to run, leading to higher profits and customer satisfaction. In the kitchen, food safety checklists are not only arduous, they are often recorded wrongly. With the advent of Bluetooth temperature sensors, kitchens are utilising systems where food and equipment can be monitored with automated sensors. 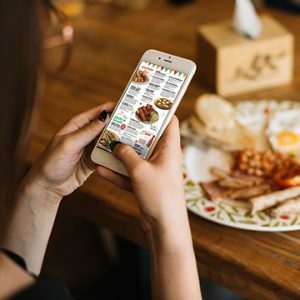 This can then be tied back into a central system where restaurateurs are able to use digital inventory tracking to monitor stock and reorder where necessary. Some restaurants, particularly larger fast-food chains, are using kiosks and point-of-sale technology to replace cash registers. These kiosks can allow customers to browse menu’s, create custom orders and pay for the meal. In seated restaurants, these kiosks might be incorporated into the seating area, allowing guests to order more food if they need it, choose lighting, music and much more. Technologies changing the service sector seem to have two major strands: improving service and making experiences more customizable. With any new technology set to change the service sector, it is worth considering how it is improving customer satisfaction, or making tasks which were once strenuous much simpler, giving more time to focus on the customer.